TriCity Family Services has been accredited by the Council on Accreditation (COA) since 1998. We most recently received re-accreditation in November 2014. COA is an international, independent, nonprofit, human service accrediting organization. Founded in 1977 by the Child Welfare League of America and Family Service America (now the Alliance for Strong Families and Communities), its mission is to partner with human service organizations worldwide to improve service delivery outcomes by developing, applying, and promoting accreditation standards. It envisions excellence in the delivery of human services globally, resulting in the well-being of individuals, families, and communities. COA accredits the full continuum of child welfare, behavioral health, and community-based social services. It currently accredits more than 2,200 organizations and programs serving more than 7 million individuals and families. The Standards for Private Organizations were developed in support of enhanced organizational growth and stability, an unwavering commitment to the health, safety, and rights of clients, and producing high quality, measurable results. Because the Private Organization Accreditation process involves the review and accreditation of the entire organization, the standards focus on both its administrative operations and all of its service delivery practices for which COA has applicable standards. 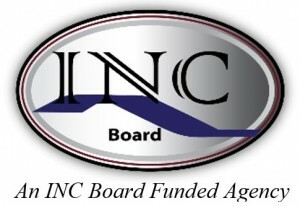 For more information about the Council on Accreditation, visit www.coanet.org.